I came across this book during a visit to the library with little one, and immediately felt drawn to it. 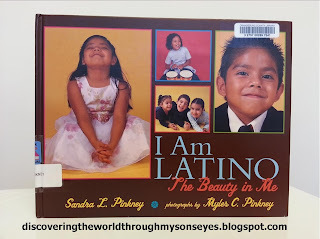 Other than me, my son doesn’t see too many Latinos in our area, and I want him to embrace the “Latino” beauty in him! In almost every other page it poses the catchy question: “I am Latino/a. Can you sense the beauty?” The message that it conveys is that being Latino is beautiful through images of our culture, and family traditions. This book exalts the Spanish language, the music, the food, and the strong family ties. Both little one and I enjoyed this book. We talked about his familia that lives in Puerto Rico and in New York. It has words in both English and Spanish that we were able to practice together, and reinforce the Spanish phrases and words that he’s learned. Have you come across a book that “speaks” out to you? About your culture, identity or heritage? If so, please do let me know. I’m always looking out for good books about culture, identity or heritage. Please comment, like, share, and/or pin! Gracias! Disclaimer: An Amazon affiliate link is used in this post. This post is being linked up at: Kid Lit Blog Hop. That book sounds amazing! 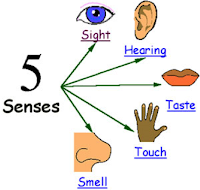 I'm so glad you found it and I love how it uses the five senses! Thank you Renee for stopping by. This is a wonderful book that my son has been able to identify with. I would suggest a visit to the library. 🙂 Good luck! Thanks so much for linking up your wonderful posts at Multicultural Children's Book Day! We really appreciate you sharing!! !